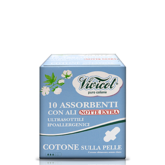 Pure Cotton Vivicot is a complete line that uses natural cotton as its base material. The particular morphology of the cotton fibre gives it a high level of hygroscopicity, which allows immediate absorption of liquids followed by rapid elimination of heat. A pleasant sense of freshness and comfort derives from this important factor. Cotton is a natural fibre originating in the Nile valley. Its fruit is a pod containing 15 to 20 seeds couched in very long white strands of pulp that is extracted from the open pod. Already known by the Jews, as illustrated by some Biblical texts, cotton was brought to Greece with the conquests of Alexander the Great. It is not surprising that even today, researchers and labs dedicate serious study to this fibre. Its particular morphology affords the finished cloth its characteristic elevated hygroscopicity, resulting in immediate liquid absorption and rapid elimination of heat. 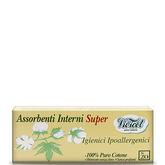 The sum of these two factors results in a line of absorbent products with a pleasant feeling of freshness and comfort. 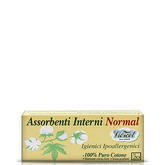 Internal tampon 100 pure cotton. 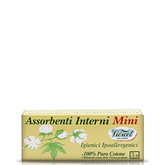 Internal tampon 100% pure cotton. 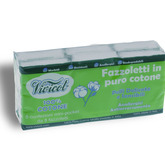 Internal tampon in 100% pure cotton. 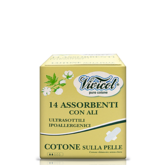 Handkerchiefs of 100% pure cotton. Delicate and sensitive skin.